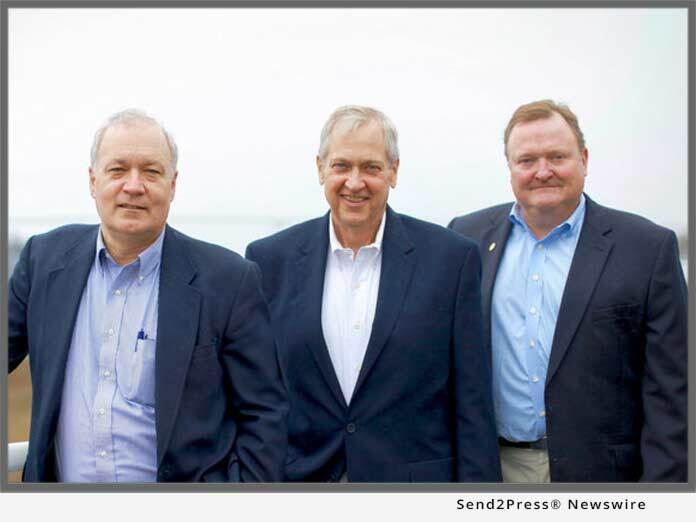 Will Haynie, Crawford Moore and Steve Weintz jointly announced they have launched a strategic communications, public affairs, public relations and crisis management firm based in Mount Pleasant: HarborPR. The trio of senior, board-level advisors will help established businesses and organizations, those moving to, starting or expanding operations in South Carolina to plan, develop and implement multi-faceted public relations and communications campaigns. Will Haynie, Crawford Moore and Steve Weintz jointly announced they have launched a strategic communications, public affairs, public relations and crisis management firm based in Mount Pleasant: HarborPR (www.harborpr.net). The trio of senior, board-level advisors will help established businesses and organizations, those moving to, starting or expanding operations in South Carolina to plan, develop and implement multi-faceted public relations and communications campaigns and further help them interface with state, county and local media, governments, and businesses. Harbor PR will also work with non-profit organizations to help develop educational, messaging and effective fundraising campaigns. "I actually had the idea and founded HarborPR sometime last year but when I ran for mayor of Mount Pleasant I had to put that business on the back burner," commented Haynie. "Having lived in the Lowcountry most of my adult life, we have some unique experience and perspectives to offer companies and organizations--especially useful to those companies and organizations new to our community." Before winning his election and becoming mayor of Mount Pleasant, Will Haynie was the press secretary for U.S. Rep. Charles H. Taylor (NC-11), a talk radio show host, and a columnist for four newspapers. Haynie was also the sailing columnist for the Post & Courier and as CEO of the SC Maritime Foundation helped raise money to support the tall ship Spirit of South Carolina. From 2002 to 2009 Haynie was the executive director of the Lowcountry Open Land Trust. Haynie is a graduate of The Citadel. "I was a classmate of Will's at the Citadel. We've known each other and worked together on projects for over thirty-five years," commented Crawford Moore. "I'm excited to be a partner in this new venture." Moore, who is mayor pro tem of Edisto Beach, SC, shares a strong background in public relations, business, non-profit, fund raising, and government relations stemming from a long and varied career. After college and 6 years of active duty in the United States Air Force where he flew the KC-135, Moore returned to his hometown to work in his family's business, B.C. Moore, a chain of 80 department stores in the southeast. Crawford served two terms (8 years) as an elected official on Chesterfield County Council in South Carolina, where he was the chairman of the Finance Committee and Building Committee. Among his accomplishments, Moore took on a multi-million dollar building bond issue to upgrade the deteriorating physical plant in the county, accomplished at minimal effect to the tax payer. A graduate of Vanderbilt University (B.A. 1978) Steve Weintz has forty-years of copywriting, advertising, business development, non-profit, direct marketing and public affairs experience. After graduating from Vanderbilt, Mr. Weintz worked for Martstellar Advertising in Manhattan. In 1984 Mr. Weintz moved to Washington D.C. where he worked with non-profit organizations on educational and fundraising campaigns. In 1999, Mr. Weintz founded SBW Ventures, Inc. to write strategic business plans and provide investment banking and strategic communications and marketing services for small, privately-owned companies. In 2010 Mr. Weintz moved to Mount Pleasant, South Carolina where he met fellow writer Will Haynie. "I'm excited about partnering with Will and Crawford to provide the sort of public relations and communications expertise you'd find in New York or L.A. but on a local basis with knowledge and experience of the social dynamics, social structure, state and local government and media contacts that make South Carolina such a unique place to do business."